This past month we’ve really been pushing our social media platforms, not only with current students and alumni, but with prospective students! 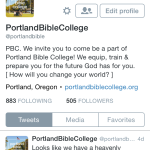 We’ve been keeping our followers updated by highlighting people, announcing events and even sharing some scripture. This consistent presence on the internet allows viewers to feel like part of the family here at PBC and we’re doing everything we can to keep it that way. Whether it’s responding to questions on twitter or reading comments on Facebook, we are able to keep in touch with hundreds of people though social media. 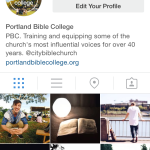 Feel free to follow us on any social media platform, as we follow Christ! 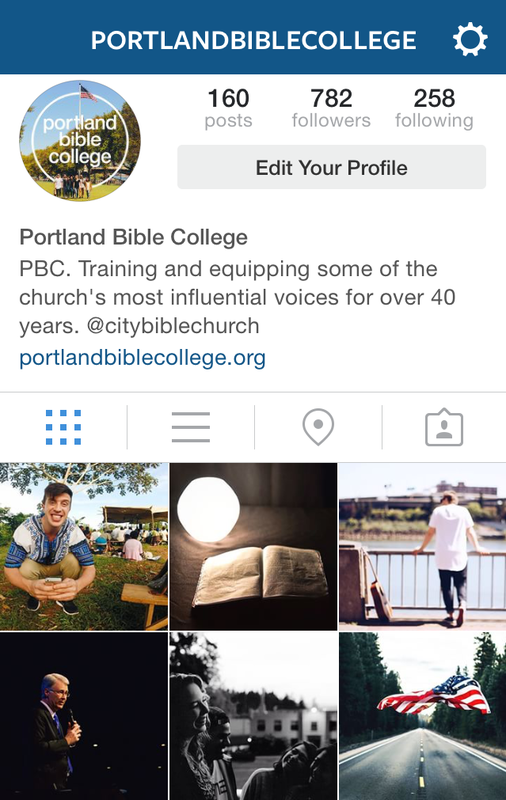 Instagram: @portlandbiblecollege Follow our journey on Instagram for event updates, student highlights and event reminders! 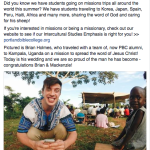 Facebook: Like us on Facebook for quick links to our admissions page, posts to share with your family and friends who are interested in PBC and updates on campus events! 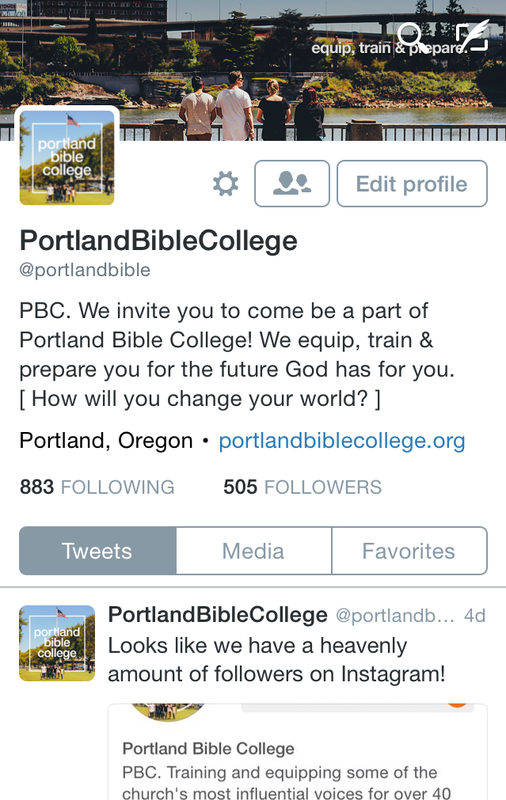 Twitter: @portlandbible Follow us on twitter for live updates on events, reminders of on and off campus events and verses of encouragement! 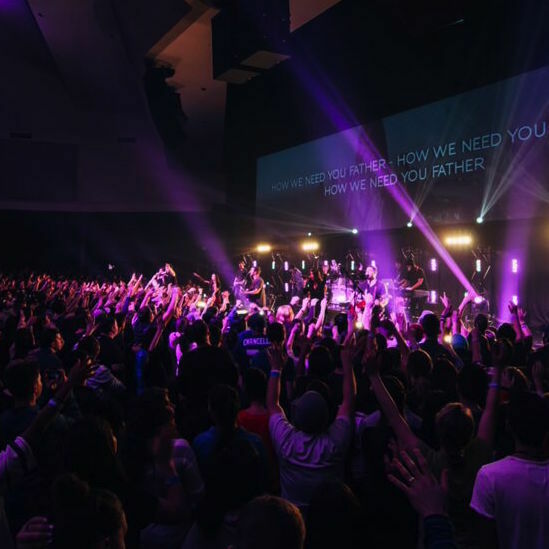 What an amazing year at Generation Unleashed Conference! 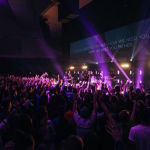 We had the chance to worship alongside thousands of other young adults and young people, hear inspiring messages from some of the most influences voices in the Christian community, and even connect with future students through the PBC experience. We’re already excited about next year! 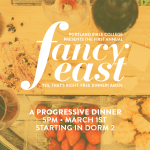 PBC students took progressive dinners to the next level by making it a formal event!We even had h’ordeuvres! After dressing up to look our best, we ventured through each dorm having a different course of the meal at each stop. Needless to say it was tons of fun. 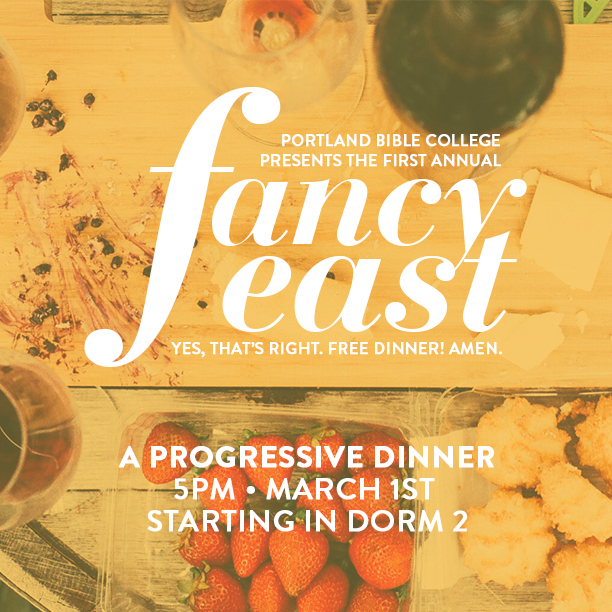 When it comes to food, PBC knows how to do it right! 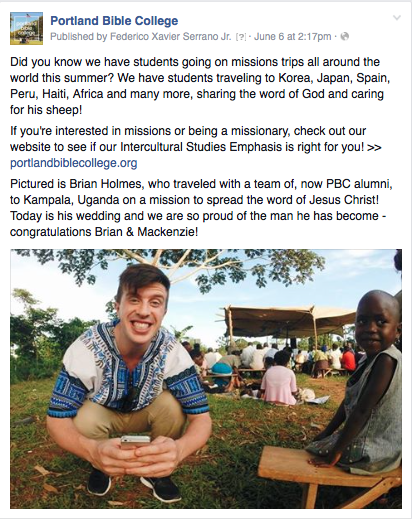 One of the greatest things about PBC is how many different countries and cultures we have represented on our campus. 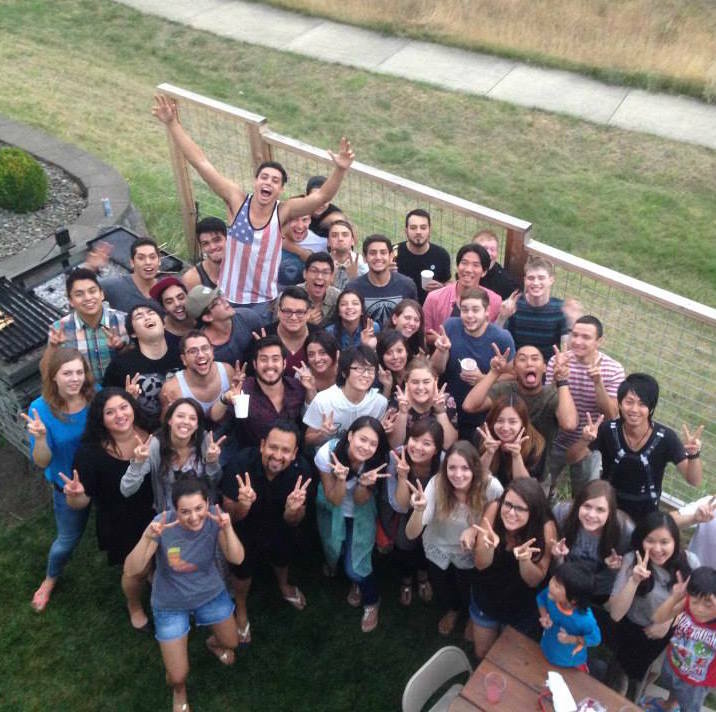 This semester at the international potluck, we gathered to share multicultural food and fellowship, and had an awesome time doing it. Thank you to the Marin’s for opening up your home! 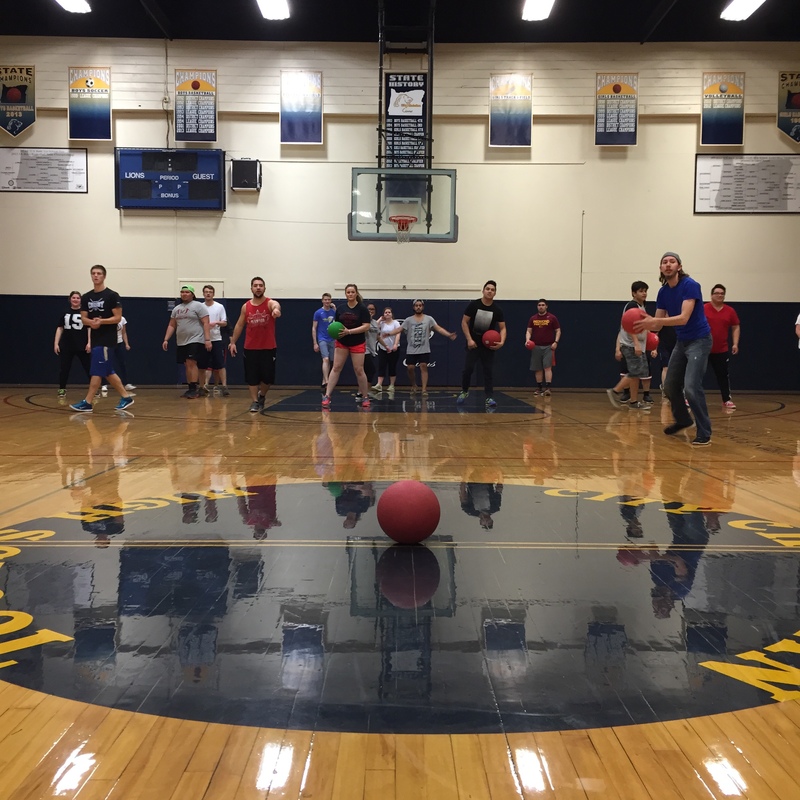 They told us that college student students wouldn’t want to play dodge ball… but they were they wrong! We unleashed our inner warrior, fighting for victory amongst our peers. Few survived.. All enjoyed. 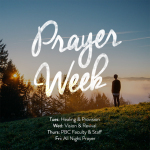 Throughout the entire week, everyone on campus met in their dorms at curfew to gather and pray for breakthrough and revival in both our generation, and our own lives. We welcomed heaven on earth and saw God move in powerful ways! 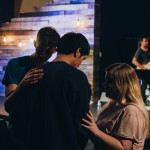 After an amazing week of prayer, we couldn’t wait to see what God wanted in accomplish at this semester’s All Night Prayer. From eleven at night to 5 in the morning, we sought the presence of God, allowing His Spirit to move through worship and word. He responded mightily! It was truly amazing to see God speak to so many of us, and to have him bless us with His presence. This semester we threw it back and decided to celebrate the decade of mullets and pop music. 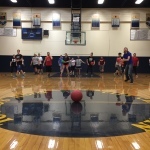 Coming together as one school in one of our dorms for an awesome night of games and hanging out, ‘Forever Young: An 80s Night’ was a huge success. And, everyone looked amazing in their retro outfits! 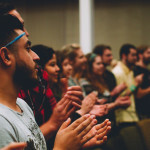 Celebrating the diversity of our school, we take one chapel service every semester to focus on the Global Church. This semester we prayed for the nations, worshipped in other languages, and even took an offering for an outreach project in Uganda. 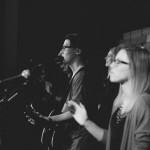 From different corners of the earth we gathered to worship God as one big family.